Below are great DIY ideas that will be fun and enjoyable for the kids. Whatever you and the kids choose to make, it is sure to put a smile on dad’s face. Your DIY crafting ideas can reach the sky. Bet dear old dad won’t see that coming. For this DIY craft, you need to cut a spare shirt to create a bowtie. Once that’s done, pop the wreath that features the bowtie that the kids made on the door. It’ll be a nice greeting and welcome home gesture for Father’s Day. You can also reuse the wreath on dad’s birthday! This is the perfect gift to grace dad’s office, man cave, or garage. This is so easy to do and all you need are a couple of supplies that are already in your home! Small children may need help during the gluing and measuring process. Help them and they’ll become the youngest clockmakers! Do it yourself with a heartwarming gift. This easy yet elegant craft will require nothing more than a glue, a pair of scissors, an old tie, and a spare key ring. If the work came out alright it might be a potentially matching DIY gift for mom as well! 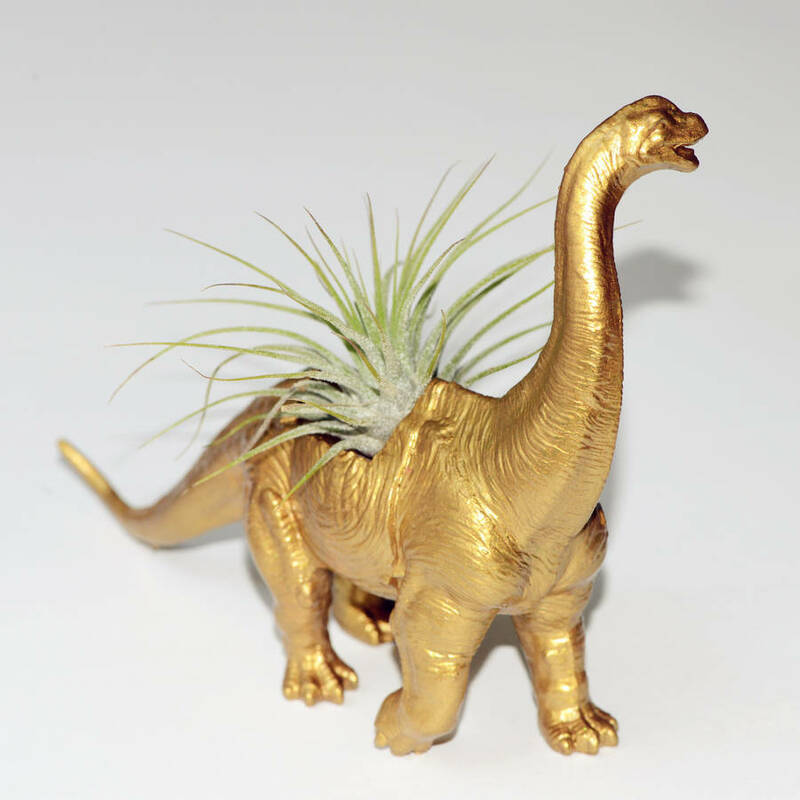 With this DIY idea, turn a dinosaur toy that’s no longer used by the kids into a planter. This can be any old toy, or something from a thrift store. Dad’s desk will now have a touch of love from the gift you and the children gave him for Father’s Day. If you give your dad a homemade tasseled bookmark that features photos of the entire family, then we are certain that he will find it very hard to hide it within a book’s pages. Every single time he takes out the book he’s reading, he will smile seeing the happy faces of you and the kids. This is a safe DIY bet that can lead to hilarious results. Make remote control cookies as they are not just simple to whip up but they are also delicious to eat. Present them to dad on his special day and he won’t know whether to use them in changing the channel or to dunk them in a glass of milk. Be sure to give the man of the day a smile using these pens. They require oven baking but the entire process will only take less than an hour to finish! They are fun, distinctive, and creative at the same time. Does your dad have a sweet tooth that has yet to be satisfied? Make this candy bouquet and he will surely love the thought and effort you and the kids poured in making this project. Fortunately, this bouquet does not need a vase! You can even make it more fun for the kids by letting them pick and pay for the candies that will be used for the bouquet. These monogrammed mugs aren’t just functional, personal, and distinctive but they are also dishwasher-safe, eco-friendly, and inexpensive. To add a personalized touch, put the initials of your dad on the mug. You can also incorporate a phrase that will warm his heart. To finish off, fill the mug with treats such as tea bags, peppermints, and caramels. This is easy as pie! For this, you are only required to take out a plain shirt and iron-on letters. Choose a loving sentiment and your dad will have a new favorite shirt! Any DIY magazine can help you out with this process. These trophies are great for the kids to make. They are also too cute to junk. Personalize your dad’s gift with craft items that are already in your home. Add decor to make it even more appealing!